My son and I ventured out to explore Calvert Cliffs State Park after a friend mentioned it is a good spot for finding fossils and shark teeth. 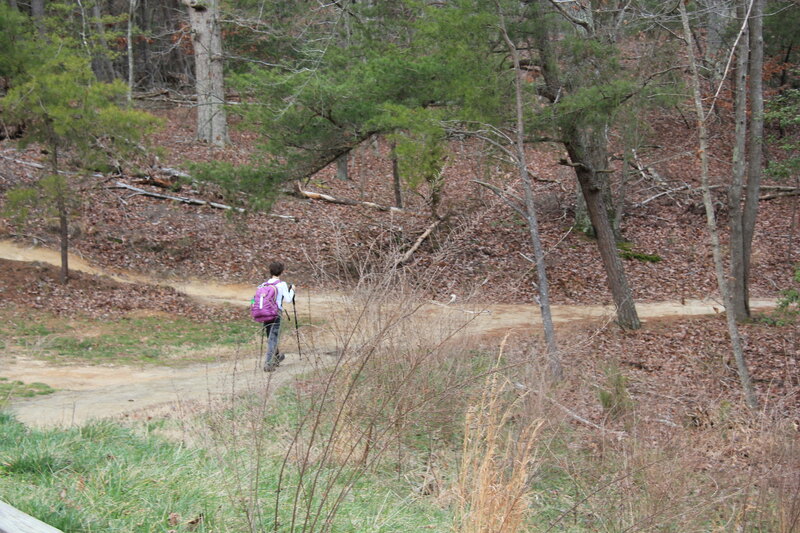 My son has an injured foot but he used his new trekking poles and hobbled down the path. The State Park has a very different landscape. Out in Virginia we are used to mountains or hills or woods. 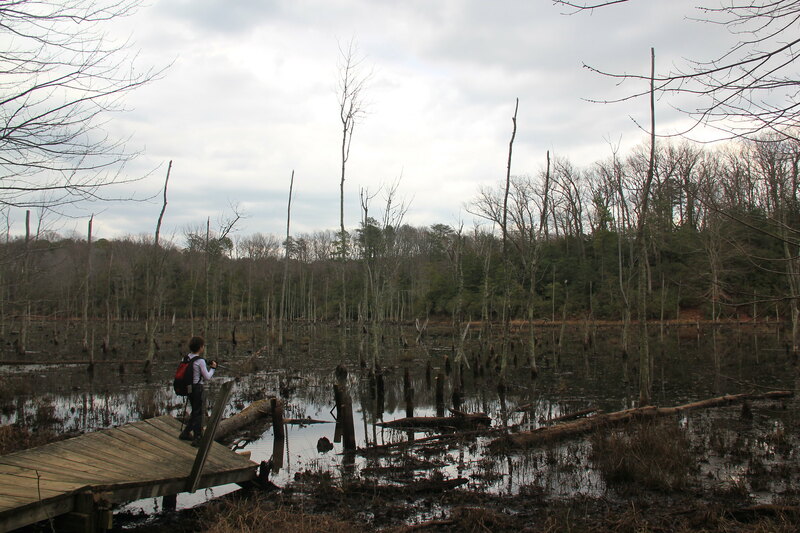 Calvert Cliffs is very swampy on one side of the trail. It really made for a very interesting walk. I kept pausing to look for beavers or other wildlife. I imagine coming in the early morning would be the best way to see animals. We did spot ducks, a heron, and a beaver dam but that was it. 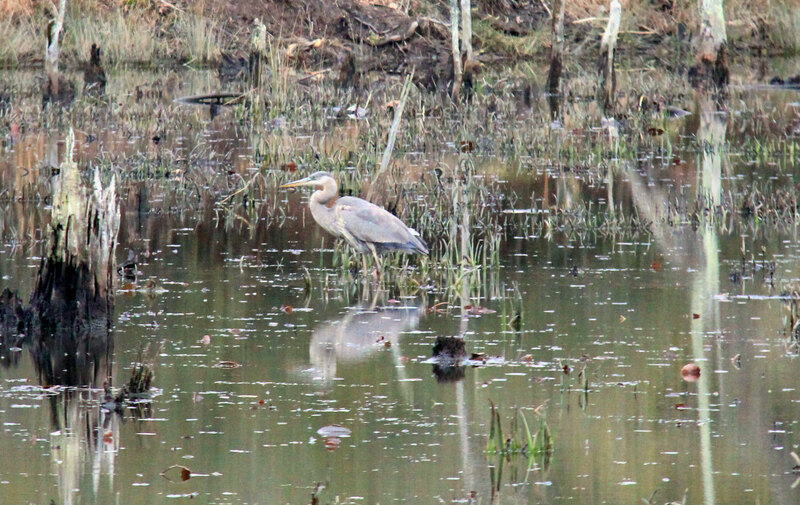 It was a cloudy day so the reflection on the swampy water was amazing. You could see every detail. At one point it looks like there used to be a boardwalk that went out across part of the swamp. Now only posts and a broken portion survive. I bet that would have been amazing to see. I could imagine taking a kayak through this area would be fantastic. Once we reached the beach area we ate a little lunch and then went about searching for fossils. I thought it would be difficult to find them but they were everywhere. My son did a great job digging into the sand and sifting it out in a colander that we brought along. We didn’t find any shark teeth this time but maybe we will in the future. Part of the beach is roped off due to the cliffs actually falling. Apparently, people have died venturing over there. And of course, there were people over there with their kids. It is really amazing to me how people are so flippant about nature and the warnings. It was easy to see that many “avalanches” had happened very recently. The fossils at the beach are from the Miocene era (10-20 million years ago). That’s pretty fascinating and I definitely will want to go back. I think going in the summer would be great as you can go into the water and maybe find different types of fossils there. If you’d like to see more of my photos, check out my Fiickr Album.